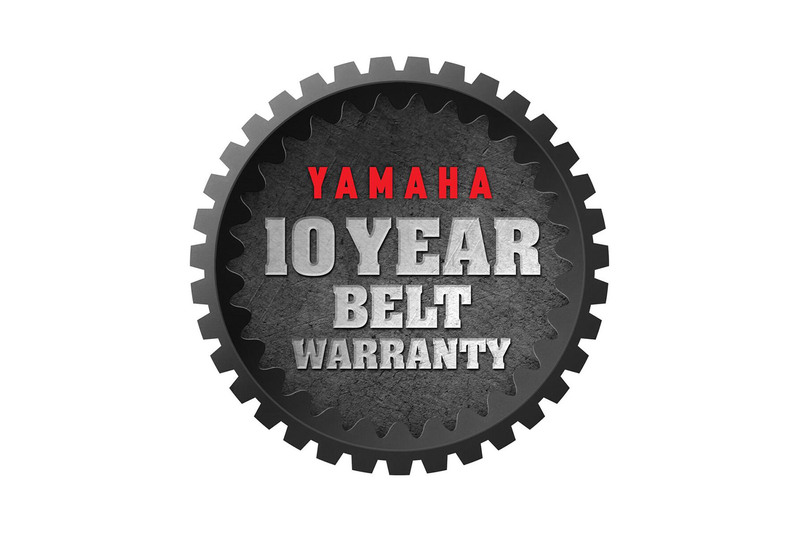 KENNESAW, Ga. – September 8, 2018 –Yamaha Motor Corp., USA, today announces a 10-year warranty on its Ultramatic® automatic transmission belts for all new 2019 ATV and Side-by-Side (SxS) vehicles that are Assembled in the USA. About Yamaha Motor Corp., USA Yamaha Motor Corporation, USA (YMUS), is a recognized leader in the powersports industry. The company's ever-expanding product offerings include Motorcycles and Scooters, ATVs and Side-By-Side Vehicles, Snowmobiles, Outboard Motors, Personal Watercraft, Boats, Outdoor Power Equipment, Power Assist Bicycles, Golf Cars, Unmanned Helicopters, Accessories, Apparel, and much more. YMUS products are sold through a nationwide network of dealers in the United States.